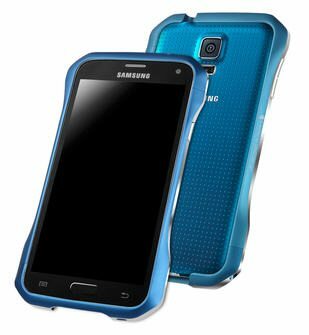 Available in 5 colors including the Electric Blue that you see above is DRACOdesign’s latest bumper case for Samsung’s latest smartphone, the Galaxy S5. The Supernova bumper is made of ultra-lightweight airplane grade aluminum and provides maximum protection for the S5 smartphone. The bumper edge is raised by 1mm in height, which protects the phone screen if it falls face first onto a hard surface. Priced at $79.99, the Supernova Aluminum Bumpers are available now from DRACOdesign. Protect your new Samsung Galaxy S5 with a DRACOdesign Supernova Aluminum Bumper originally appeared on The Gadgeteer on April 21, 2014 at 9:00 am.